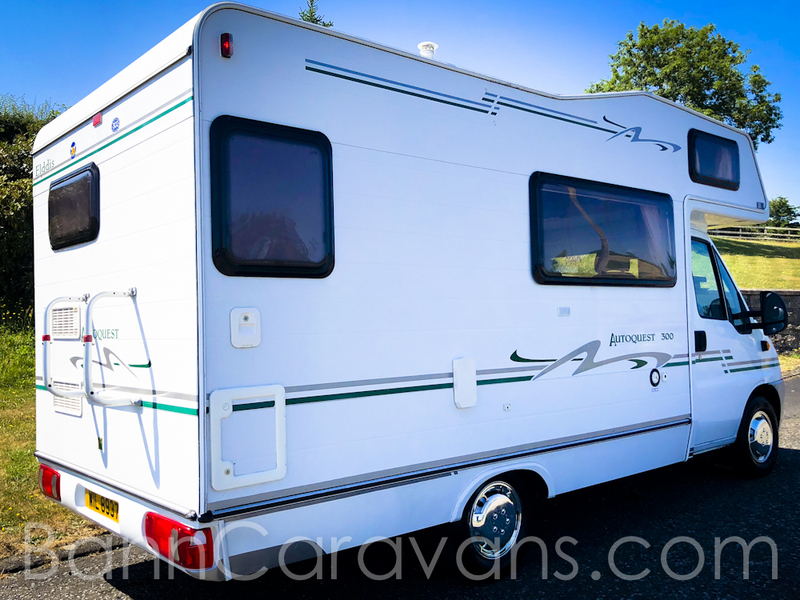 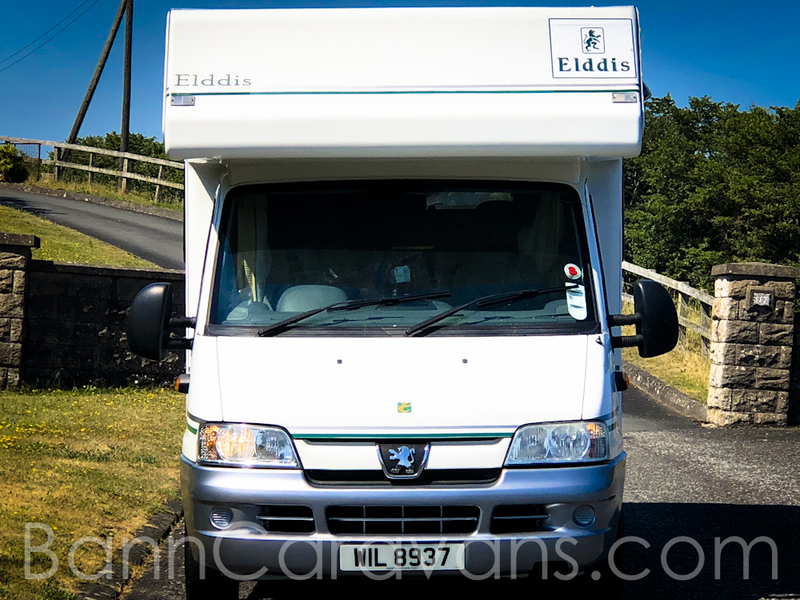 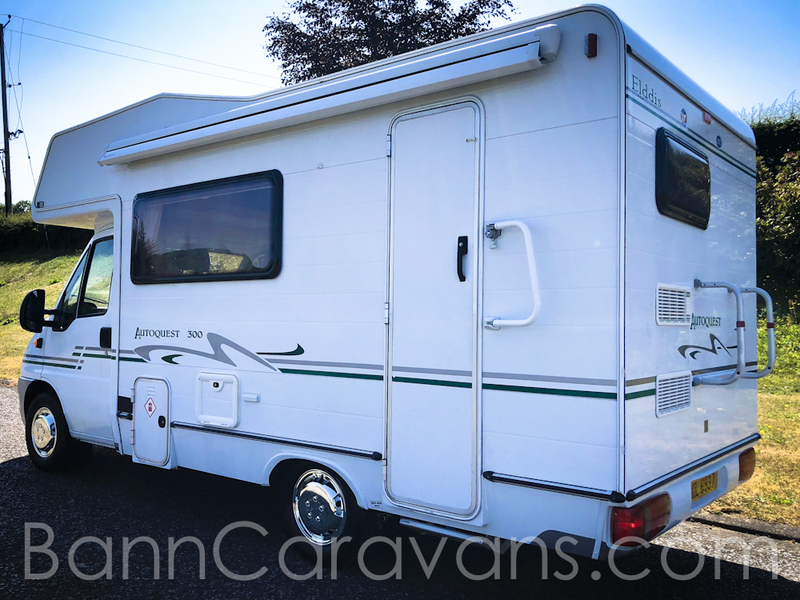 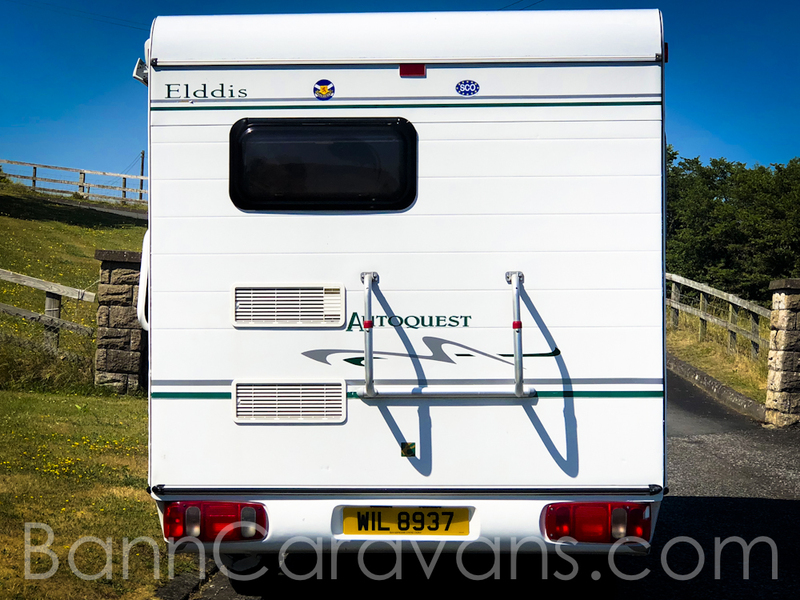 This 2003 Elddis Autoquest 300 5 Berth 5 Berth Motorhome Is In Excellent Condition. 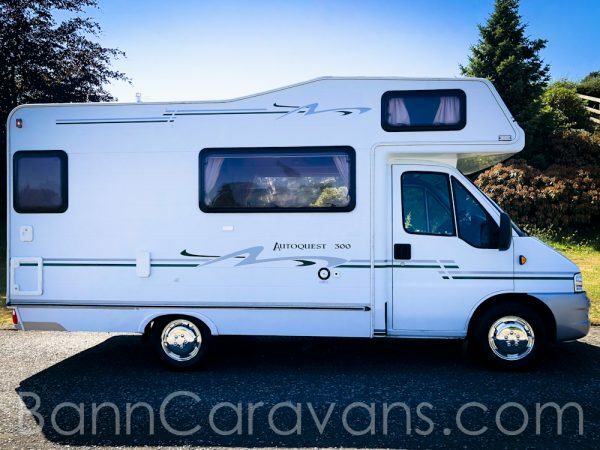 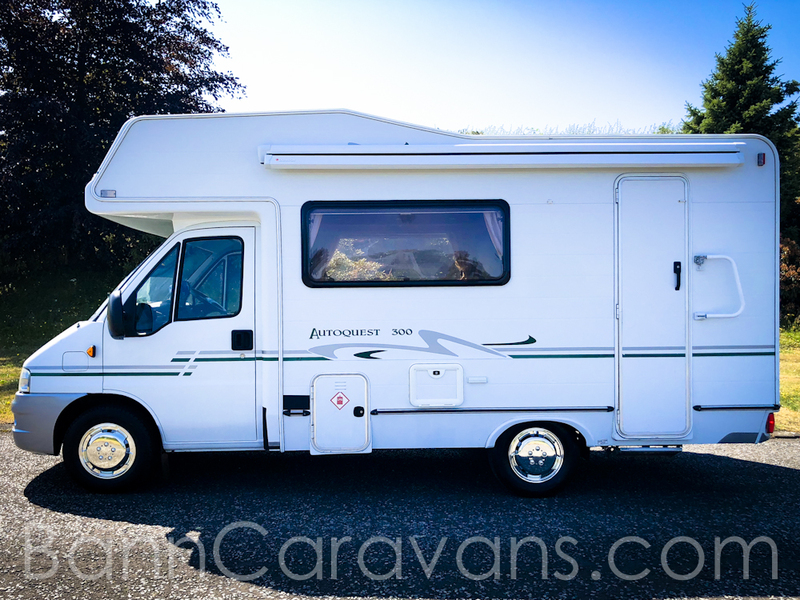 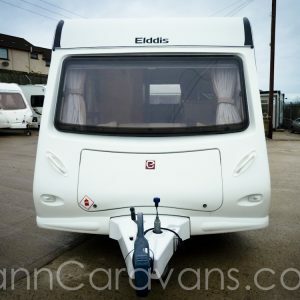 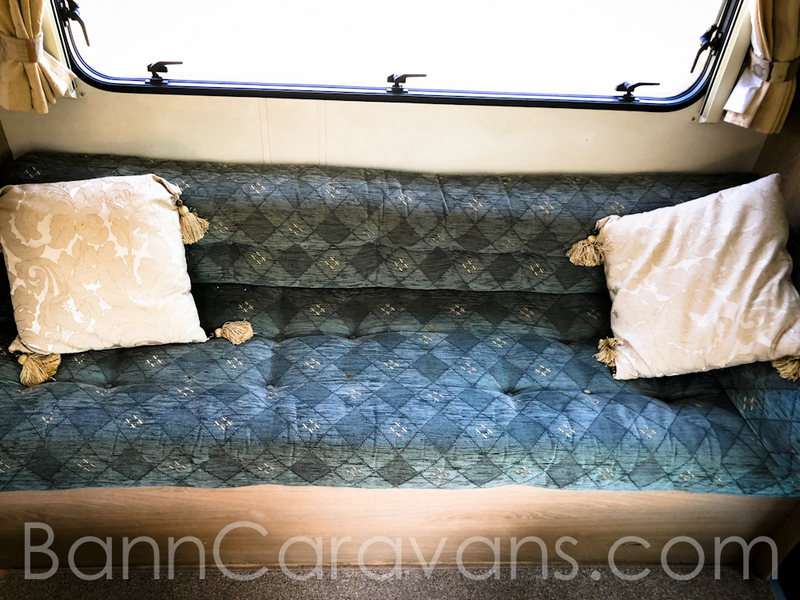 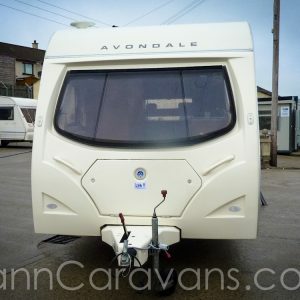 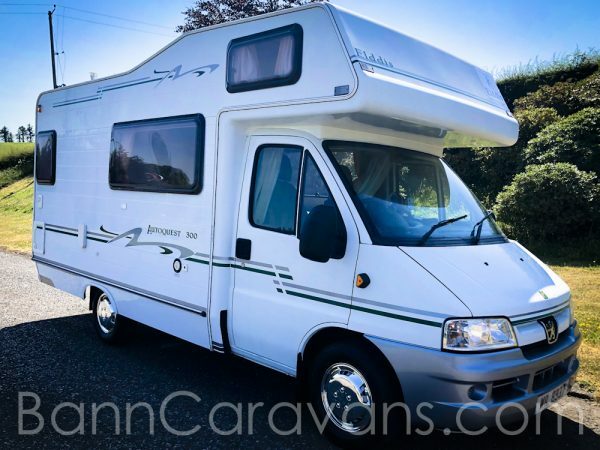 Lovely Example Of This Very Sought After Family 5 Berth Elddis Autoquest 300. 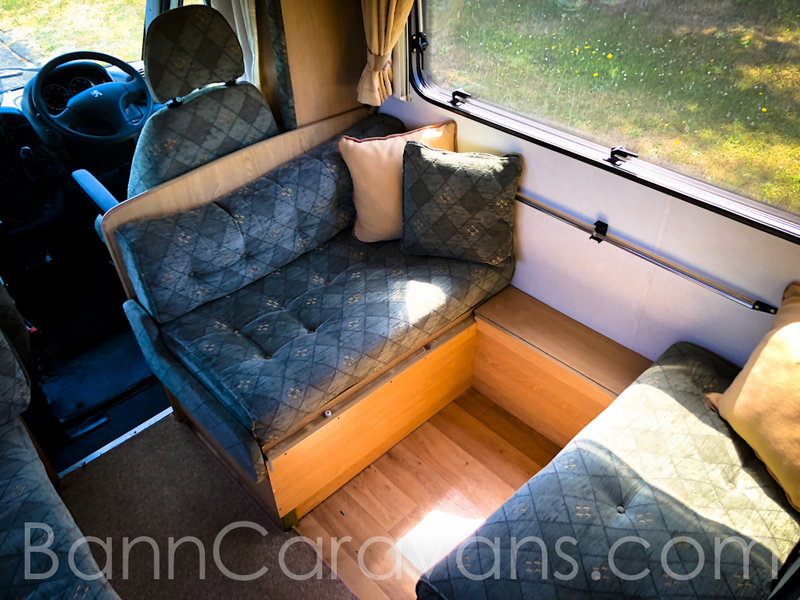 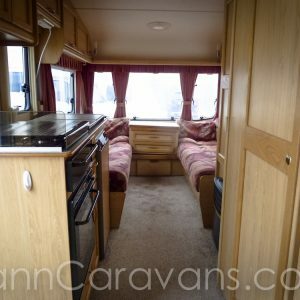 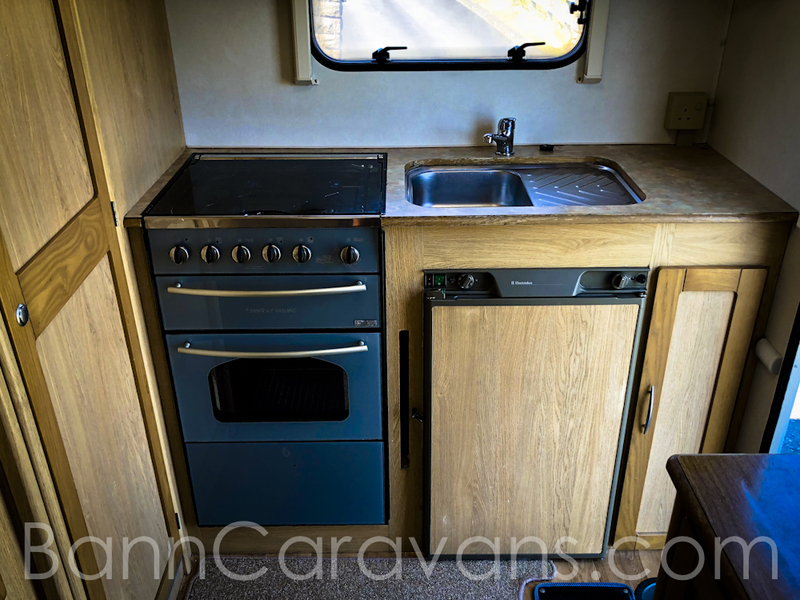 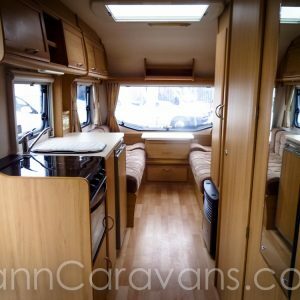 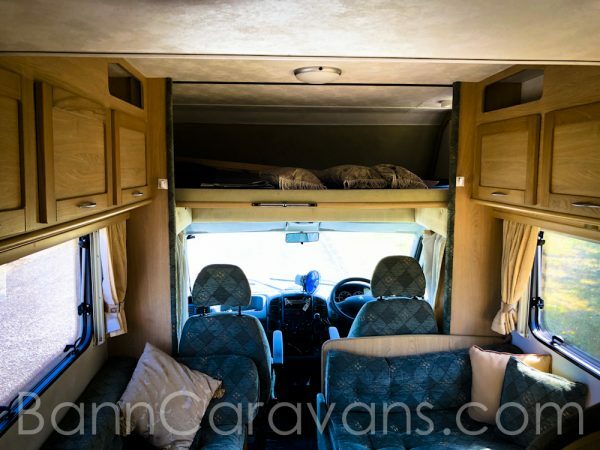 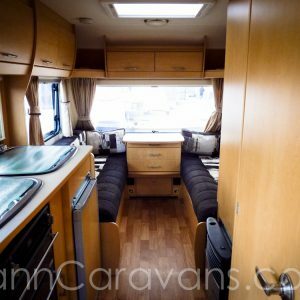 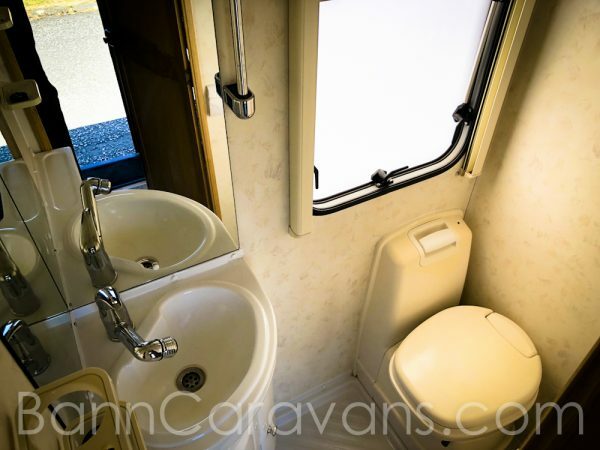 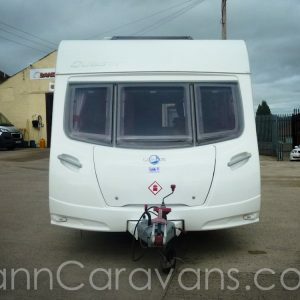 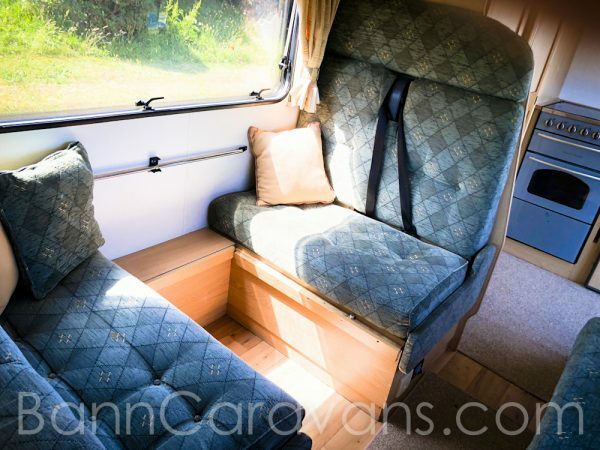 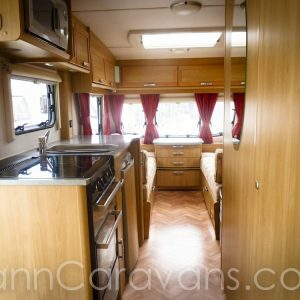 Features Include: 2.0 Diesel, 5 Speed Manual, Adjustable Front Seats, Seatbelts, 2 Double Beds And 1 Single Bed Dual Hot Water, Dual Heating, Heater, Full Fridge, 4 Burner Hob, Grill And Oven, Shower, Cassette Toilet, Onboard Fresh Water / Waste Tank, External Socket For Mains, Fly Screens And Blinds And So Much More. 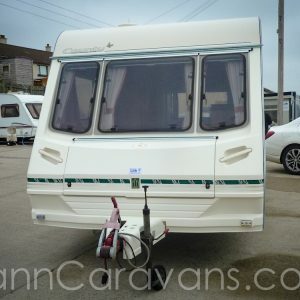 Fiama Awning. 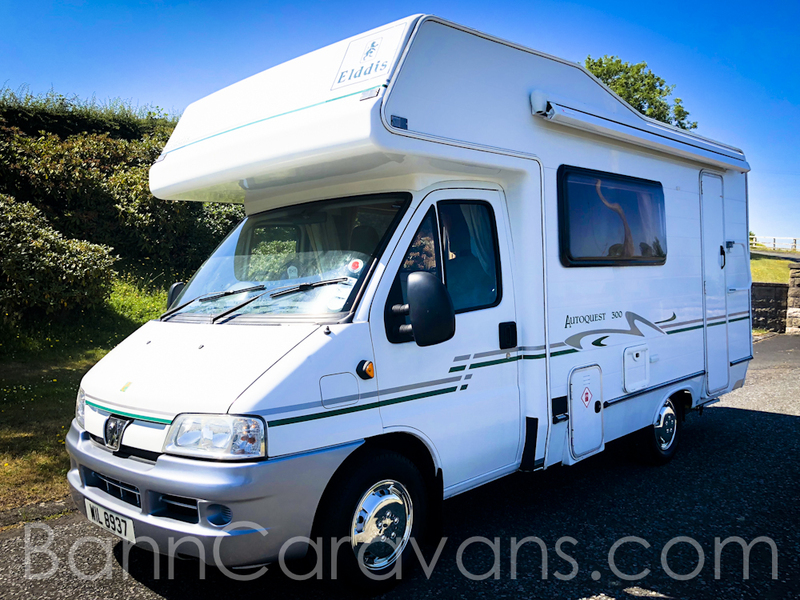 Recently Serviced Including Timing Belt. Full MOT.